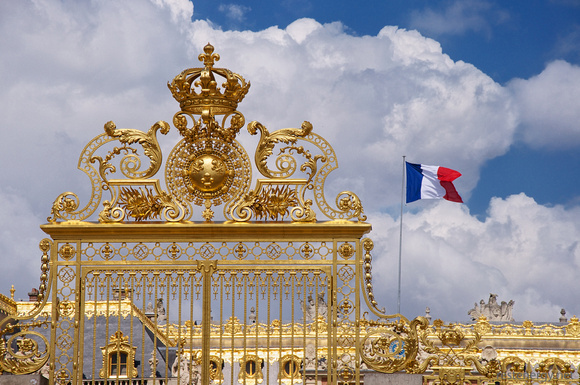 King Louis XIV of France moved his court from Paris to Versailles in 1682. Over the preceding decades, Louis had first built a royal hunting lodge on the site, and then transformed it into one of the largest and grandest royal palaces in Europe, and then into to seat of all political power in France. The palace glitters with the baroque splendor and pomp of the French monarchy and the palace’s originator, also known as the Sun King. 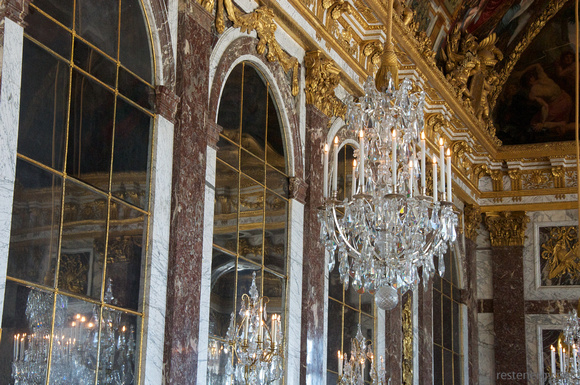 The palace has been the site of many historical events, including the signing of the Treaty of Versailles, ending World War I, in the famous Hall of Mirrors. The gardens are a splendor in themselves, covering more than 1900 acres. The plans remain those dating from the reign of Louis XIV, with only one major feature (the Neptune Basin) added since then. 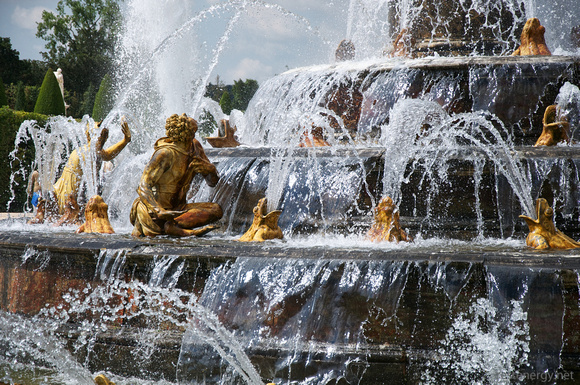 Within the formal French style are the many famous fountains of Versailles. These are still fed by the hydraulic system built in the 17th century. If you can go on a day when they have one of their fountain and music shows, it’s well worth the need to brave the extensive crowds to see the fountains in action. But even apart from the spectacles of the fountains, the gardens are beautiful and pleasant to wander. My photos from the palace and gardens of Versailles can be found in my Versailles gallery.